Nocturnal frontal lobe epilepsy (NFLE) is a syndrome of heterogeneous etiology, characterized by the occurrence of sleep-related seizures with different complexity and duration. Genetic, lesional, and cryptogenetic NFLE forms have been described. NFLE is generally considered a benign clinical entity, although severe, drug-resistant forms do exist. A significant proportion of sleep-related complex motor seizures, hardly distinguishable from NFLE, originate outside the frontal lobe. Moreover, the distinction of NFLE from the non-rapid eye movement arousal parasomnias may be challenging. A correct diagnosis of NFLE should be based on a diagnostic approach that includes the anamnestic, video–polysomnographic, morphological, and genetic aspects. Studies on the relationships between genes, arousal regulatory mechanisms, and epileptogenesis, using both clinical and experimental models of NFLE might provide key insights in the interrelationship between sleep and epilepsy. Seizures originating from the frontal lobe mainly occur during sleep [1, 2]. The definition of nocturnal frontal lobe epilepsy (NFLE) has been introduced in order to identify patients affected by frontal lobe epilepsy whose seizures are almost exclusively sleep related. In the last few decades, the spread and refinement of video–polysomnographic (V-PSG) technology has allowed NFLE to be fully defined and described, so that it is now considered a distinct epileptic syndrome; nevertheless, some NFLE case can be hardly distinguishable from non-rapid eye movement (NREM) parasomnias [3, 4, 5, 6, 7] and from sleep-related epileptic seizures originating outside the frontal lobe [8, 9, 10]. It is now recognized that NFLE is not a homogeneous disease as familial, idiopathic, sporadic, cryptogenetic, or symptomatic forms do exist [4, 11, 12, 13]. In addition, a genetic heterogeneity is also evident within the familial type . NFLE is usually considered a benign clinical epileptic syndrome because seizures occur almost exclusively during sleep, and in the majority of patients the pharmacological treatment is effective; however, severe and drug-resistant forms, occasionally associated with mental retardation, have been described [12, 13, 15, 16••]. All the aforementioned issues will be reviewed and discussed in the following sections in order to give a comprehensive overview of the pathophysiological and clinical aspects of NFLE. No epidemiologic data are available on NFLE prevalence. The frequency of pure sleep-related seizures, defined as “seizures occurring exclusively or predominantly (>90 %) from sleep” clusters around 12 % of people with epilepsy [17, 18], the majority of patients being affected by focal epilepsy [19, 20]. NFLE is probably not rare, accounting for 13 % of polysomnographic recordings for nocturnal motor disorders in a retrospective study performed at a tertiary centre in Italy  and for 6.3 % of a large series of focal drug-resistant epileptic patients (unpublished data). Because many cases of NFLE are misdiagnosed as parasomnias, the clinical relevance of NFLE is underestimated, especially in children . A family history for epilepsy is frequently observed in NFLE patients . After the report of several families showing a clear autosomal dominant inheritance, autosomal dominant NFLE (ADNFLE) was introduced as a distinct clinical entity with marked intrafamilial variability in disease severity [4, 11, 21]. The genetic origin of the disease was confirmed by a linkage study in Australian kindred. More specifically, a locus was identified at chromosome 20q13.2-q13.3  and two different mutations were detected in the gene coding the α4 subunit of the neuronal nicotinic acetylcholine receptor (nAChR) (CHRNA4) [23, 24]. Both mutations were shown to have major effects on receptor function in vitro [23, 24, 25, 26]. With the identification of these mutations, subsequently confirmed in families of different origins [27, 28, 29], ADNFLE became the first epilepsy in which genetic bases were detected, apparently showing features of a monogenic disease. Three de novo or inherited CHRNA4 mutations, occasionally associated with mild-to-moderate mental retardation were later reported [15, 30, 31, 32, 33, 34, 35, 36, 37]. ADNFLE was quickly recognized as a genetically heterogeneous disorder as most of the described families did not show mutations in the CHRNA4 gene [14, 38], and new loci and genes were reported in the following years. In particular, a second locus was identified at chromosome 15q24 in one family  and a third locus spanning the pericentromeric region of chromosome 1 was identified in an Italian ADNFLE family , the latter containing the gene coding for the β2 subunit of the nACh receptor (CHRNB2) (Table 1) . Further CHRNB2 mutations were disclosed in different unrelated families and one sporadic case [41, 42, 43, 44, 45, 46] (Table 1); in two families a coexistence of both epilepsy and specific deficits in tasks of verbal memory was observed [44, 45]; in two patients ictal single-photon emission computed tomography showed a significant hyperperfusion of the cingulated gyrus . A fourth locus was mapped on chromosome 8p21.2-8q12 in 2006 in an Italian family and a mutation was identified in the α2 subunit of the nAChR (CHRNA2) gene (Table 1). These patients exhibited prominent fear and organized motor behaviors, which led the authors to speculate that seizures could have a fronto-limbic involvement. In vitro studies confirmed functional alterations of the mutated protein, and postmortem brain examination disclosed a high expression of CHRNA2 in thalamic structures . To date, this is the only reported ADNFLE kindred carrying CHRNA2 mutations. The findings of a genetic alteration of the cholinergic system and the in vivo documentation  of an alteration of nAChR density distribution in ADNFLE patients may give some insights into understanding the relationships between genes, epileptogenesis, and arousal regulatory processes. Indeed, the nAChR are extensively distributed in the brain and contribute to the regulation of sleep and arousal oscillations, at both the cortical and subcortical level . Moreover, they play a role in the release of other neurotransmitters such as gamma-aminobutyric acid (GABA) and glutamate. In animal models, it has been shown that a mutation of the nicotinic receptors may create an unbalanced excitation/inhibition circuitry within the GABAergic reticular thalamic neurons, thus favouring seizures through the synchronizing effect of spontaneous thalamocortical oscillations . However, other experimental studies have reported an involvement of nAChR in the regulation of arousals, sleep stability, and the activity–rest pattern [53, 55•]. We can speculate that the observed genetic alterations in NFLE create the conditions for both arousal instability and seizure generation. Indeed, it is recognized that NFLE patients may have a high number of arousals and that nocturnal motor events tend to occur during unstable sleep [56, 57, 58•]. With these assumptions in mind, we can also hypothesize that the high prevalence of parasomnias in the personal and family history of NFLE patients [59••] relies on a common alteration of the arousal regulatory system. However, ADNFLE is not only related to mutations in the cholinergic system. Since 2005, the involvement of other genes, not belonging to the nACh receptor subunit family, has been recognized in the ADNFLE pathogenesis. In particular, Combi et al. found two new putative ADNFLE loci on chromosomes 3p22-p24 and 8q11.2-q21.1; among the genes mapping in these regions, the one most probably involved in ADNFLE pathogenesis is corticotropin-releasing hormone (CRH) on chromosome 8. A gene sequencing procedure disclosed two nucleotide variations (Table 1) in the CRH promoter region in four families and in two sporadic cases . An additional family was later detected, with a patient carrying both variations in compound heterozygosity . The in vitro functional analysis of both variations demonstrated an altered level of protein expression  suggesting an interrelation between CRH concentration and neuronal excitability with a possible effect on thalamo-cortical loop dysfunctions [47, 48]. Very recently, a further CRH mutation has been found in the protein pro-sequence region of the CRH of two affected siblings of an Italian ADNFLE family [50•]. The recurrence of variants causing altered levels of the CRH secretion suggests that individuals with such an altered hormone level could be more prone to develop ADNFLE [50•]. In 2012, a further gene on chromosome 9 encoding the sodium-activated potassium channel subunit 1 (KCNT1) was associated with ADNFLE. In particular, four variants in KCNT1 were identified in three families and in a sporadic ADNFLE case (Table 1), all showing a severe ADNFLE phenotype with early onset, high prevalence of intellectual disabilities, and psychiatric or behavioral problems, including psychosis, catatonia, and aggression. Contrary to all the previously found mutations, KCNT1 mutations showed complete penetrance [16••]. Very recently, mutations in the DEPDC5 gene were reported as responsible for different types of focal epilepsies, including ADNFLE [60••]. However, the prevalence of mutations in this gene remains to be assessed. In summary, ADNFLE is a heterogeneous genetic syndrome that can be incidental to mutations in different genes; to date, mutations have been reported in six genes (Table 1). Mutations in these genes, however, account only for a minority of cases  and their mean penetrance ranges from 60 % to 80 %. Hence, further studies are needed to better characterize this heterogeneous syndrome. Given the high intrafamilial variability and the overlapping features of the clinical manifestations, ADNFLE patients do not show a clear distinction from sporadic NFLE cases, except for certain ADNFLE mutations frequently associated with specific additional neurological or psychiatric symptoms (Table 1). Hence, neuropsychological testing and psychiatric assessment are mandatory in ADNFLE patients [62•]. The attempt to define a genotype–phenotype correlation is hampered by the rarity of the disease and by difference in study designs. Available data suggest that no single feature can indicate one particular form and that no correlation between functional effects of the mutations and the severity of the disease exists [29, 62•]. Studies, conducted in patients with drug-resistant epilepsy, have shown that type II focal cortical dysplasia (type II FCD; Taylor-type cortical dysplasia)  is the most frequent etiological substrate of NFLE [64•, 65•, 66, 67]. However, although type II FCD is more frequently found within the frontal lobe, it has been shown that, regardless of its anatomical localization, type II FCD increases the risk of sleep-related epilepsy, in particular the type IIb [64•, 68]. Type IIb FCD is characterized by the presence of dysmorphic neurons, connected through an abnormal GABAergic circuit, and the so called “balloon cells” (BC). BC are not directly involved in the genesis of paroxysmal discharges, but seem to act as “bridges” between different areas of clustered neuronal hyperexcitability, enabling rapid propagation of electrical activity via their particular rearranged gap junctions . During wakefulness, type IIb FCD shows a peculiar pattern of interictal activity that is characterized by the occurrence of rhythmic and subcontinuous spike- and polyspike waves with a frequency usually between 1 and 3 Hz, alternating with short bursts of fast discharges interrupted by suppression of activity. These burst of fast discharges are relatively rare and sporadic during wakefulness, but become numerous during slow wave sleep, when they tend to recur pseudo-periodically [65•, 68, 70, 71] and often spread over surrounding nonlesional areas and develop into a seizure [65•, 68]. Type IIb FCD seems to be an interesting “in vivo” model to study the relationship between sleep mechanisms and epileptogenesis, as well as a peculiar “in vitro” model for pharmacological studies. ADNFLE and sporadic NFLE show similar clinical and electroencephalographic features [11, 12, 13, 21]. In the high majority of NFLE patients, seizures begin before the age of 20 years, with a peak during childhood [4, 11, 12, 13, 21], although onset during adulthood has been also reported [11, 12, 21]. Seizure frequency is usually high, and patients generally experience many seizures a night [12, 13], although the frequency may diminish during adulthood [11, 21]. Of note, occasional seizures during wakefulness can occur [12, 13]. Subjective seizure manifestations, uncommon during the night, have been reported by patients during these diurnal events; however, auras generally have a poor localizing and lateralizing value [13, 72]. NFLE patients may show different sleep-related motor events of increasing complexity and duration, even during a single night. These include 1) short-lasting (2–4 s) stereotyped movements involving the limbs, the axial musculature, and/or the head [11, 12, 13, 58•, 73]; 2) paroxysmal arousals (PAs), characterized by sudden and brief arousals (5–10 s in duration) sometimes accompanied by stereotyped movements, vocalization, frightened expression, and fear [11, 12, 13, 74]; and 3) major attacks, lasting 20–30 s, characterized by asymmetric tonic or dystonic posturing, or complex movements such as pelvic thrusting, pedalling, choreo-athetoid, and ballistic movements of the limbs [11, 12, 13, 21]. Some patients may show ictal deambulatory behaviors often associated with frightened expression and fear [12, 13, 51, 75]. Owing to the recurrence of nocturnal motor events, several NFLE patients may complain of nonrestorative sleep and of daytime sleepiness [12, 13, 71, 74, 76]. The increasing complexity of NFLE ictal motor behaviors, from minor to major events, reflects a different duration and propagation of the discharge within the frontal lobe [77, 78]. It has been shown that the seizure onset in patients with asymmetric tonic or dystonic posturing is generally localized in the posterior portion of the frontal cingulated gyrus and in the posterior mesial frontal cortex with a primary involvement of the supplementary motor area [13, 65•, 79, 80]. In patients with seizures characterized by hyperkinetic automatisms and complex motor behaviors, the region of seizure onset may involve the dorso-lateral and anterior frontal regions (fronto-polar and frontal antero-mesial regions) [13, 65•, 80]; in particular, the epileptic manifestations characterized by the association of fear and more organized motor behaviors (the so-called “epileptic nocturnal wandering”) seem to correspond to the activation of anterior cingulated, orbito-polar, and temporal regions (Fig. 1) [10, 13, 51, 81]. Some of these clinical manifestations have been interpreted as a release of inhibition (provoked by the seizure) on the innate behavioral automatisms and survival behaviors, programmed in cortical and subcortical central pattern generators [82, 83]. The interictal and ictal scalp electroencephalography (EEG) features of NFLE patients are often uninformative, especially in cases of seizures originating from the mesial frontal cortex [12, 78]. However, prolonged video–EEG recordings can sometimes be useful in characterizing the EEG abnormalities in selected subgroups of patients undergoing presurgical investigation . Unfortunately, the reduced contribution of scalp EEG to localization and lateralization of the seizure onset zone is accompanied by a low incidence of positive findings using magnetic resonance imaging [12, 13]. In recent years it has been shown that sleep-related complex motor attacks, similar to those occurring in NFLE patients, may also originate from the temporal lobe [8, 71, 72, 81], the insular-opercular region [9, 65•, 84••, 85, 86], and the posterior cerebral regions [65•]. A careful analysis of aura features may be particularly useful in the differential diagnosis of NFLE. Indeed, these patients may report subjective manifestations that could suggest an origin of seizure outside the frontal lobe, such as epigastric, acoustic sensations, and/or déjà vu in temporal lobe onset ; laryngeal and throat sensations, dysarthria, hypersalivation, unpleasant or electrical paresthesiae, diffuse or restricted to a small cutaneous area, in opercular, and/or insular onset [9, 65•, 84••, 87]; and visual hallucinations in occipital seizures [65•]. Many of the differences between NFLE and non-epileptic sleep-related events have now been clarified, and a number of clinical features have been categorized to help physicians in the differential diagnosis (Table 2). For instance, episodes of sleep terror and sleepwalking are isolated and rare (one episode every 1–4 months), without any stereotypic complex motor patterns such as dystonic posturing, ballistic movements, tremor, OR choreoathetosis, and tend to disappear with time. REM sleep behavior disorders (RBD) can be readily differentiated from NFLE. RBD affects predominantly elderly men (around 60 years of age), and episodes prevail in the second half of the night, unlike arousal disorders and epileptic nocturnal wandering. RBD are characterized by polymorphic behavior consistent with aggressive dream content associated with the typical polygraphic finding of REM sleep without atonia. Nocturnal panic attacks are also characterized by a sudden awakening from sleep with dramatic autonomic activation and a sensation of imminent death, but these episodes often recur only once per night and are prolonged (many minutes) . Nevertheless, the differential diagnosis may remain a challenge for clinicians, and some controversial points are still a matter of debate. First, the distinction between the different disorders is complicated by the similarity of behavioral patterns encountered in non-REM parasomnias, RBD, and nocturnal frontal lobe seizures (NFLS), and by the possible coexistence of these sleep disturbances in the same individual . Second, there is no gold standard objective test for parasomnias or NFLE. Finally, the diagnostic potential of the conventional work flow—clinical assessment (history taking) followed by laboratory investigations, such as interictal EEG and nocturnal V-PSG—is still hampered by the lack of internationally accepted diagnostic criteria [7, 90]. Distinguishing NFLE from non-epileptic sleep-related events, namely arousal disorders, may be challenging and sometimes impossible on the basis of history-taking alone [7, 88]. A reliable semeiological description of motor events occurring during the night is often difficult to collect from a witness or sleep partner because observers may be lacking or, if present, not fully reliable or awake when attacks occur. Moreover, subjective semeiological elements are often absent in all types of motor events during sleep. To date, the available clinical diagnostic tools for nocturnal motor episodes, that is, the standard criteria, are unreliable, as in the case of several parasomnias , or are still lacking, as in the case of NFLE. 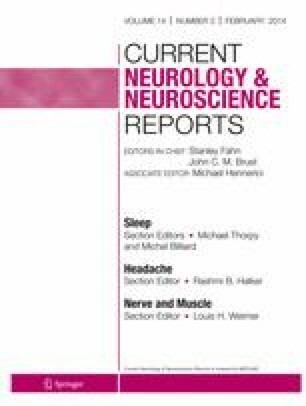 Recent efforts to obtain a systematic assessment of the diagnostic reliability of clinical history have devised two instruments: the Frontal Lobe Epilepsy and Parasomnias scale  and the Structured Interview for NFLE [93•]. Albeit clinically useful, these tools are limited by contradictory diagnostic accuracy [7, 94]. Interictal EEGs fail to disclose epileptiform abnormalities in a substantial percentage of NFLE patients , whereas interictal epileptiform discharges may also occur in some patients with parasomnias, especially those with RBD (up to 26 %) . Sleep V-PSG is unanimously considered the “gold-standard” diagnostic test, but it is expensive, with a limited availability, and does not always capture the event in a single-night recording. Moreover, even when the nocturnal episode has been recorded, the diagnosis remains doubtful because ictal scalp EEG fails to disclose epileptiform abnormalities or because the episode captured is a minor motor event, like the so-called PA, for which the diagnosis is not reliable, even among experts [6, 7]. To make video analysis of nocturnal paroxysmal events more reliable a diagnostic algorithm focusing on the semeiological features of the arousal parasomnias and NFLS has recently been proposed [96••]. Despite the limits of V-PSG, the possibility of analyzing the video of the nocturnal attack remains an important diagnostic tool, making home video recording a useful adjunct when episodes are infrequent, even if the onset of the episode is missed [88, 96••, 97]. Indeed, it has been shown that while the behavioral aspects characterizing the onset of a paroxysmal episode may be similar in NFLE and NREM parasomnias, the analysis of the evolution and the offset of the events are more critical for discriminating between parasomnias and NFLE seizures [96••]. However, although a home-made video can be very helpful in the diagnosis of major episodes (hypermotor seizures), the lack of reliable semeiological criteria for PAs and other minor motor events diminishes its diagnostic use for less complex brief attacks [6, 73, 96••, 97]. However, in patients with a high clinical suspicion of NFLE, the presence of a high number of sleep-related minor motor events might be interpreted as an indirect marker of epileptiform activity [73, 98]. Response to therapy is not an ideal diagnostic tool, but may contribute to the diagnosis, especially when V-PSG is impracticable or has proven unhelpful. Unfortunately, even the response to antiepileptic drugs does not discriminate between NFLE and parasomnias. Although carbamazepine is effective at low doses in most NFLE patients, this treatment did not modify seizure frequency at all in 32 % of patients . Moreover, long-term follow-up data are lacking for both parasomnias and NFLE. In conclusion, no single, valid, and reliable diagnostic procedure (including V-PSG) or diagnostic algorithm has been defined for parasomnias and NFLE. We need to improve the sensitivity of the available diagnostic tools, studying the use of home-made videos before or instead of hospitalization and V-PSG. It is also important to devise common criteria to develop a single classification of motor events occurring during sleep and thereby make VPSG more reliable. Finally, we need to improve our knowledge on the long-term follow-up of sleep disorders, particularly when a definite diagnosis (i.e., epileptic or non-epileptic) has not been established. An international consensus on these issues is therefore advisable . Many and early reports documented carbamazepine as the drug of choice in NFLE/ADNFLE patients [11, 12, 39, 99], and basic studies of ADNFLE mutations suggested that mutated nAChR receptors demonstrate an increased sensitivity to carbamazepine . According to the literature, about two thirds of NFLE/ADNFLE patients benefit from carbamazepine administration. This drug is usually given at low doses (200–1,000 mg at bedtime), abolishing seizures in ~20 % of cases, and giving significant relief (at least 50 % seizure reduction) in another 48 %. One third of patients are drug-resistant and most of these patients have many seizures per month [12, 101]. Oxcarbamazepine (at a mean dose of 30.4 ±11.7 mg/kg/day) fully controlled nocturnal seizures in a single study on eight children between the age of 4 and 16 years with NFLE (some of whom were refractory to previous antiepileptic medications) . Topiramate administered as single or add-on therapy from 50 to 300 mg daily at bedtime was found to be effective in about 90 % of cases in a small series of 24 NFLE patients. In the follow-up, ranging from 6 months to 6 years, the authors found 25 % of patients to be seizure-free and 62.5 % with a reduction in seizures of at least 50 % . Varadkar et al. reported a reduction or complete control of nocturnal seizures in three members of an ADNFLE family with acetazolamide, 500 mg at night, as add-on therapy to carbamazepine. Treatment with nicotine transdermal patches had a beneficial effect on seizure frequency in a single patient with ADNFLE, whose seizures were refractory to standard antiepileptic drugs . The beneficial effect of nicotine on seizure frequency was later reported in 9 out of 22 patients from two Norwegian ADNFLE pedigrees with CHRNA4 mutations , supporting the role of a nicotine defect in the arousal pathway in NFLE/ADNFLE patients. Recently, in a case–control family study, Naldi et al. failed to find any significant difference in the distribution of tobacco use among NFLE patients and their relatives compared to that in the control group. Surgical treatment may provide excellent results for selected drug-resistant NFLE patients both for seizures and for epilepsy-related sleep disturbances, such as fragmented sleep and excessive daytime somnolence [13, 71]. An in-depth pre-surgical evaluation, often including invasive recording by stereo EEG, is mandatory for resective surgery . In a population of 21 drug-resistant NFLE patients, after at least 12 months following surgery, 76 % of patients were completely seizure-free and the remainder reported significant improvements in seizure frequency and/or intensity . Surgical treatment can also be effective in patients with sleep-related complex motor seizures with an extrafrontal origin [8, 10, 65•, 72, 84••, 85, 86]. In summary, the interpretation of NFLE as relatively benign clinical entity, because seizures occur only or predominantly during sleep, is not completely true. Some patients suffering from rare and brief attacks tolerate them well and choose not to undergo therapy because they do not feel incapacitated by the seizures. However, a third of NFLE/ADNFLE patients are drug-resistant, and also in patients responding to treatment, withdrawal of the antiepileptic therapy is often followed by the reappearance of the seizures . Finally, discrepancies between seizure outcome reported by patient and bed partner and V-PSG recordings can be found. The subjective effectiveness of antiepileptic treatment could be mostly related to the partial reduction of the longer and more complex seizures, opening the debate to the identification of clinical and sleep measures, which can better define a more objective response to treatment [108•]. NFLE is a syndrome of heterogeneous etiology characterized by the occurrence of sleep-related seizures with various motor and affective clinical manifestations, depending on the involved neuronal networks within the frontal lobe. Moreover, a significant proportion of sleep-related complex motor seizures have an extra-frontal origin, predominantly temporal and insular. NFLE is generally considered a benign clinical entity, although severe, drug-resistant forms do exist. Comprehensive clinical and instrumental investigations have enabled us to shed light on the wide spectrum of paroxysmal events occurring during sleep; however, in a small percentage of cases, the differential diagnosis between NFLE and NREM parasomnias can still be challenging. It is therefore imperative to adopt a comprehensive diagnostic approach that includes the anamnestic, V-PSG, morphologic, and genetic aspects. Finally, we believe that further studies on the relationships between genes, arousal regulatory mechanisms, and epileptogenesis using both clinical and experimental models of NFLE could provide key insight in the interrelationship between sleep and epilepsy. We thank Dr. Steve Gibbs for insightful discussions. Lino Nobili, Paola Proserpio, Romina Combi, Federica Provini, Laura Tassi, and Paolo Tinuper declare that they have no conflict of interest. Giuseppe Plazzi has received financial compensation for board membership for UCB Pharma and Jazz Pharmaceuticals. Francesca Bisulli has received grants from the Italian Ministry of Health.